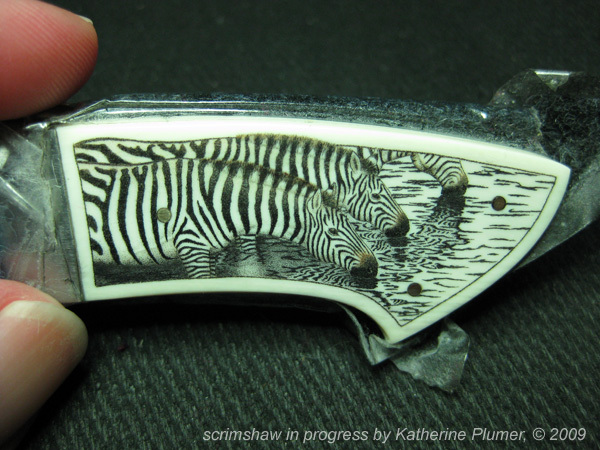 I still think I'll pull this off in time, though it looks like the knife will not get an image on the back. Maybe something really simple? Just a border? I dunno. That tape is looking skanky to the max, I can't wait to get this done and untape it so I can see how fabulously cool it looks. Can't risk accidental scratches in the mean time though. I might do the blue color next, and then the brown. Hmm. I'm probably going to wish I'd done the blue first, but that's okay, it'll work. 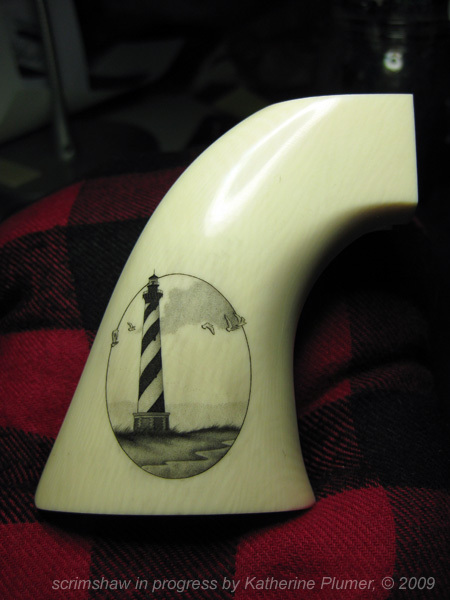 The CCA grips are nearly done, just need to finish the clouds on the Cape Hatteras side (tomorrow, if all goes well). Then multiple coats of wax, and photo time!